I don’t think I realized how much of an impact my job had on my life until I had a job I really liked. A few months ago, my whole outlook was so different. Why? Because I was so unsatisfied with my career at the time. Most people know what it’s like to have a crappy job, but there seems to be a lack of people who actually love what they are doing. Instead of focusing on the negative, let’s focus on the positive. I’ve always been a believer that if you think positively, you’ll have more positive outcomes. Stuck in a miserable place? Imagine what your life would be like once you’re out of there! If your coworkers cause drama or your boss doesn’t care about your ideas, your work is likely going to suffer. Productivity and creativity thrive on positive feelings, challenging assignments, and encouraging environments. In a job you love, you are far more likely to do great work. In a space where you’re ideas are welcomed, you’re doing work you like, and your job is rewarding, you’re going to want to put in more effort. Does your attitude about work follow you home? Most likely it does. 40 hours a week is a long time to be subjected to something you hate. That attitude is likely to stick with you and affect your personal relationships. Imagine being fulfilled in your job and your personal life! You’ll be excited to meet your friends at happy hour instead of ready to cancel your plans for Netflix. A happy person makes a happy friend, girlfriend, wife, daughter, etc. When you can’t stand your job, you probably can’t stand much else including exercise, eating better, running a side hustle, or much else. You are too drained to care as other parts of your life fall to the side with your lackluster employment. But, as a happy employee, you want to take care of yourself, get better at what you do, and you want to grow with your company. Working at a place you hate feels like wearing “loser” on your forehead. You feel like you didn’t succeed at having the life you deserved. You feel like you wasted you money on a degree, your time in a pointless major, and your attention on a dying field. In a job you love, you don’t feel the weight of misery. Your job is important to you, but you know that there are many things in your life that make you who you are. You can feel proud rather than embarrassed to talk about your career path. Know that you have a sense of what it’s like to love your job, it’s time to go after it! You can have your dream career, I know it! 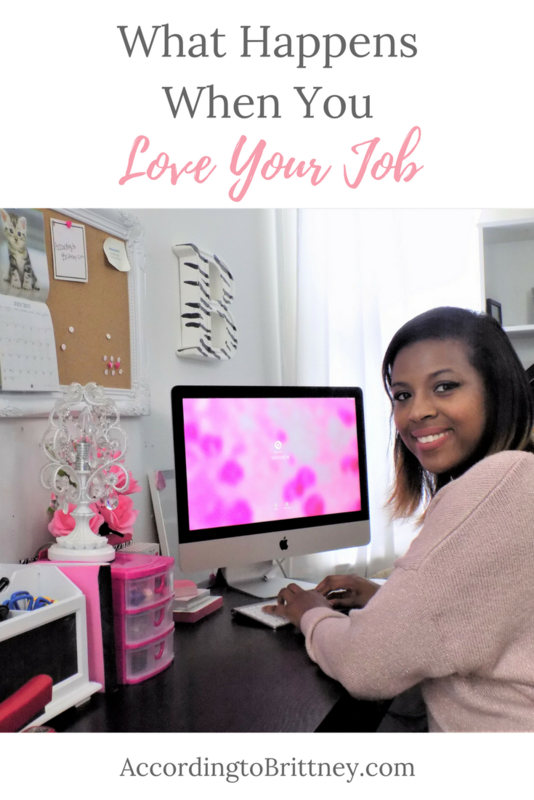 Do you love you job? Why or why not? Tell us in the comments!